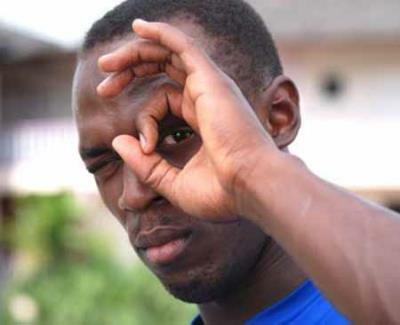 Usain Bolt is a Jamaican Olympic sprinter widely regarded as the fastest person ever. He is the first man to hold both the 100 meter and 200 meter records. Because of these achievements he has garnered international fame and the fortune that follows. It is not surprising then that he appears to have succumb the bidding of the Illuminati elite and become yet another puppet. When you have a platform or well known you become useful to the agenda. Pretty much like advertising but a bit more sinister. A brainwashing tool would be a more appropriate description. Take note of the gallery images above of Mr. Bolt. In one image he appears very unhappy covering his right eye as if he's being told to do so – which is very much likely. In another he seems less than pleased and somewhat confused as if thinking “why do I have to do this?” The 3rd image he proudly displays the ever present '666' hand gesture. 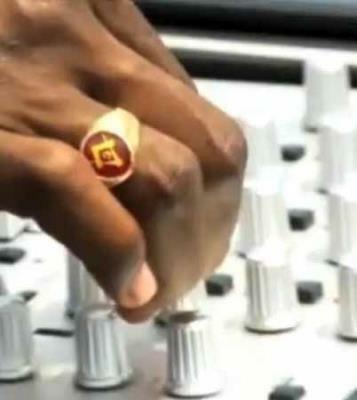 Lastly and most damming of all is Unsain's Freemason ring. If you are not familiar with Masons read our article entitled What's Masonry Really About?. People involved in such occultism believe they can be enhanced in many ways by their practice/worship. This enhancement can be in many ways such as physical, mental or any enhancement of ability. So instead of checking for steroids, they may want to check Mr. Bolts bookshelf and affiliations. 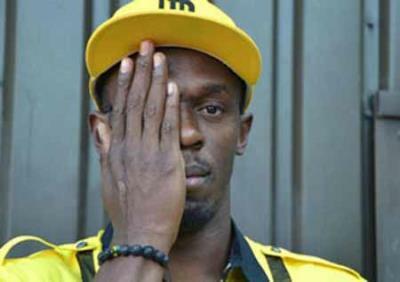 Usain Bolt is yet another individual making it very plain where his allegiance lies. What do you think?